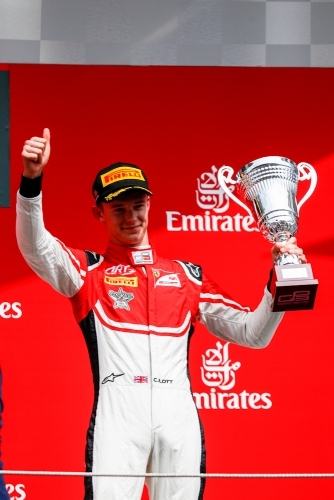 Ilott, racing for the first time for ART Grand Prix, took a third place in Saturday’s Feature race; the curtain-raiser to the FIA F1 race weekend at Circuit de Barcelona-Catalunya. Combined with a seventh place in Sunday’s wet sprint race, Ilott now sits fourth in the championship. Ilott, who made a good getaway from fourth, had moved up to third on the first lap and then proceeded to hunt down his team mate Hubert. Having closed the gap, Ilott passed Hubert on lap 12 to take second place on the run down to the first corner. The next round of the series will again support the FIA F1 World Championship and take place at Paul Ricard in France next month.